The second full moon of the month is happening on January 31st and that makes it a blue moon. Turns out that’s not the only thing happening with the moon this month according to Spaceweather.com. 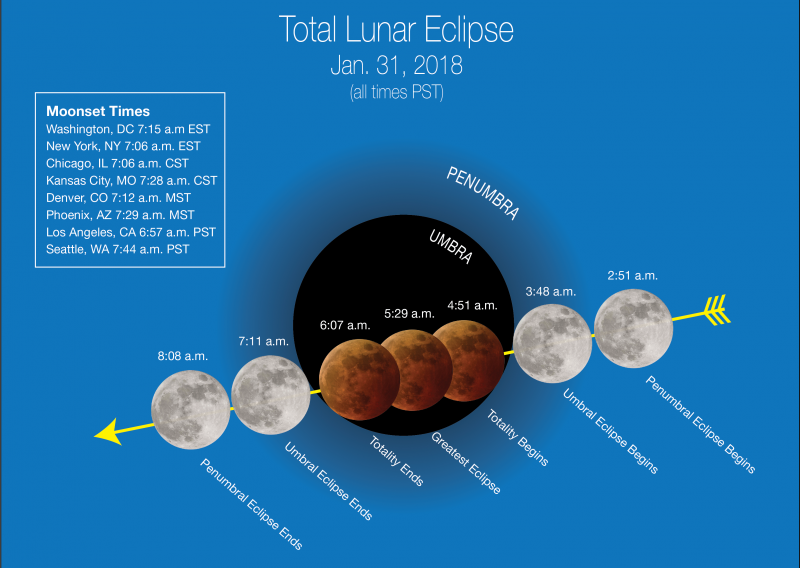 “Three lunar events will come together in an unusual overlap that’s being playfully called a super blue blood moon. The second full moon in January will take place on the 31st, making it the first blue moon of 2018. It also will be considered a supermoon — one that appears slightly larger and brighter than usual because it occurs when the moon is near its perigee, or the closest point in its orbit to Earth.